Character Active Mellow Alpha Don't have one. Gender M F Don't have one. Do any of your dogs have any physical problems? Do any of your dogs have dominance problems? Do any of your dogs not get along with other dogs? If Yes, was the animal found? If open to special needs, please check which special need(s) you would accept. Check all that apply. If Yes, is the pool covered or fenced? If Yes, what is the space between rails (inches)? If Yes, do you have stairs inside, outside or both? If you have stairs, are any stairs open backed? If No, are you planning to get a doggy door? Yes No I already have a doggy door. Thank you for taking the time and care to complete this application. Please try to answer each question as completely as possible. Incomplete applications may not be considered. By clicking “SUBMIT THE APPLICATION” button below, you are attesting to the truthfulness of your answers. PUG RESCUE OF SACRAMENTO RESERVES THE RIGHT TO REFUSE ANY APPLICATION. 1. Foster parents agree to give loving care to the rescued pug(s) and provide a safe, indoor environment. Pugs shall be kept in the house at all times with the exception of being taken outside to go to the bathroom. At no time shall the dog(s) be tied to any object outside, nor shall they be kept in any outdoor kennel. 2 Foster parents agree to only take foster pugs to authorized veterinarians, except in cases of extreme emergency. Pug Rescue of Sacramento will pay for all medical care by such veterinarians. 3 The foster parent understands that it may be necessary to drive the dog to the veterinarian, to meet with prospective adoptive families and other places, and is willing to do so. 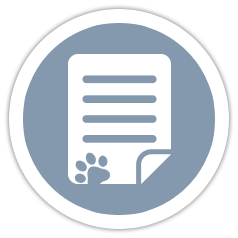 4 Foster parent agrees to feed the pug(s) premium dog food, and agrees to feed, water and exercise the dog appropriately. This includes no unsupervised, off-lead time. 5 Foster parent understands that often a pug comes into rescue needing medication. Pug Rescue of Sacramento will pay for all medications necessary for the dog(s). The foster parent agrees to administer the medication(s) to the dog in accordance with the veterinarian instructions. 6 A rescue pug often comes in on short notice with no indication of health or temperament. Foster homes have to be willing to help assess this and be willing to update the PROS Coordinator on a weekly basis. Pug Rescue of Sacramento cannot guarantee foster pugs will be potty trained on arrival.